Overview of electric cars and personal experience | Don't Waste My Energy! This is our finished Projectino Befter (before & after the experience) about Electric cars. We chose this topic because we believe electric cars will play a huge part in our future and therefore wanted to know more about them. Flavio, Victor and myself would like to know more about how electric cars work. Because oil is a very limited resource and might be consumed in about 50 years, electric cars are on the rise. Especially Elon Musk has built a huge electric car company with Tesla and is helping to create the future. We would like to find out more about the electric car industry and it’s future. The only thing we know about electric cars is that they run on battery and that they have to be charged quite often because the battery doesn’t hold long. Charging the car however is often free and therefore this is another advantage over petrol-powered (benzinbetrieben) cars. 3) Then they put the battery and the electric engine in the car. The challenge of that is the weight distribution. Because the gasoline engine is usually in the front of the car and is a lot heavier than the electric engine. Therefore they have to make sure that the weight is distributed through the whole car. As of now they do this mostly with vintage cars (Oldtimer). It is expensive to do the switch to an electric car and therefore it doesn’t yet appeal the normal customer. Customers as of now are often car fanatics. But maybe someday when the production of a battery and an electric engine gets cheaper it could be something that in the near future everyone might take profit out of. Unfortunately the mentioned boyfriend of our class colleague didn’t have the time to do a full interview, that’s why we just got a brief overview of their work. the production of a so called lithium-lane-battery cause CO2 emissions up to 200kg. the whole production of an electric car causes in the best case about 8 tons of CO2 emissions. As a comparison a normal car causes CO2 emissions between 6-8 tons. However the production of a Tesla Model S causes about 17 tons of CO2 emissions. A normal person in Switzerland causes yearly CO2 emissions between 5-6 tons. As of today a normal gasoline engine car can drive up to 8 years until the car causes as much damage to the environment as the production of a Tesla battery! This is our interview about the Electric car Industry with an ex-employee of the car Magazine “Auto-Illustrierte”. He is around 40-45 years old and used to work for the Magazine for 5 years. The interview took place by phone in October 2018. What does it take to be successful in the electric car market industry? You need a great product. To achieve this product you need to have the technology and the capital. To built the product you will need a factory. These are the 4 things you have to consider when going in to the electric car industry. What do you think needs to happen in order for the whole world to consider electric car as their primary vehicle? I think the first thing you need to have to do is to have gas prices for higher. Right now for example the United States market is super sensitive to gasoline prices so if they start to rise gasoline prices you will see people start considering electric cars more, and that is the key. The other idea is just the range and the cost of the cars themselves as the range has to go up and the cost has to come down. That is underway but it is not going to be tomorrow. How does the infrastructure have to change to accommodate more EV? Adding millions of new Electric cars has a huge impact on our ecosystem. We will especially have to consider the infrastructure for the charges of the electric cars, but also electric trains, buses could be a thing in the future. Companies like Tesla have already announced electric trucks. What do you think made Tesla so successful and different from all the other car companies ? I think Tesla has something a little bit special it’s almost like Apple, because they have that kind of Aura. With Elon Musk they have got a charismatic founder and CEO who is just different. When you buy a Tesla it is also a lifestyle or an experience that you are buying and not just an electric car. People nowadays don’t just want to see a product but also a show that comes along with it. What do you think will happen to the electric car industry in five years ? I think we are going to be quite down the road in five years because China is really driving this whole trend right now. By this big push that is coming from China other electric car building companies around the world will have to catch up to keep being a competitor. However I believe that in 2025 there will still be a majority of gasoline engine cars. The history of these cars is over 130 years old and the change is not going to come overnight. Why did you buy a Tesla ? First of all because I can afford to buy one. Also ethical reasons played a part in the process. I was also stunned by the technical aspects of the car and the new technology in general coming from Tesla. Also I thought in a long term way and therefore security also played a big role, because with age comes unawareness. The last point is that I off course wanted to enjoy the luxury of the car and just enjoy it. What is the longest route you drove with your Tesla? 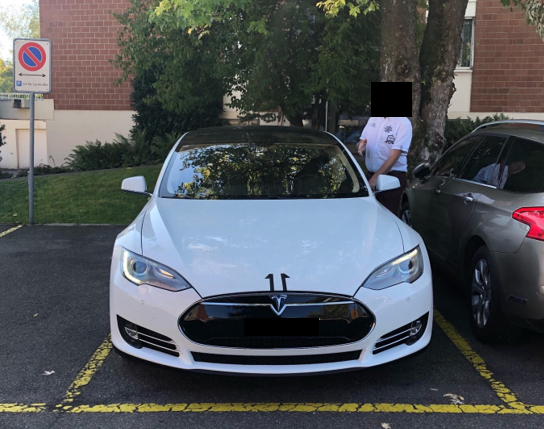 I once drove my Tesla to North Germany which was around 1200km. I had to make 3 short stops to supercharge the car. Supercharges are built by Tesla and there are around 3500 in Europe alone. It takes 20min to fully recharge the car so that it can drive about 400km. Is the electricity bill higher since you own a Tesla? No, because I mostly charge it on free chargers. 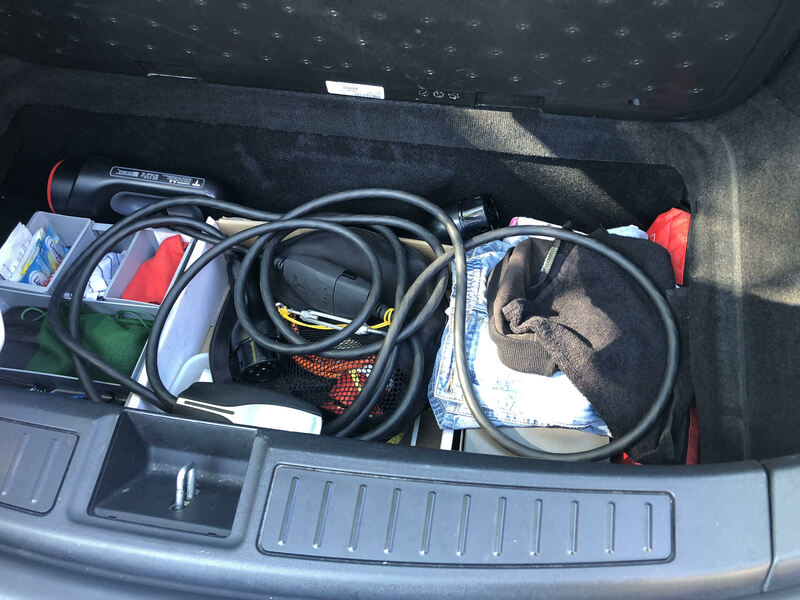 Most of the time Tesla owners don’t have to pay a lot for the recharging because of the free supercharges Tesla built. However these supercharges are only available for Tesla cars and not other electric cars. Would you buy a Tesla again? Probably not. 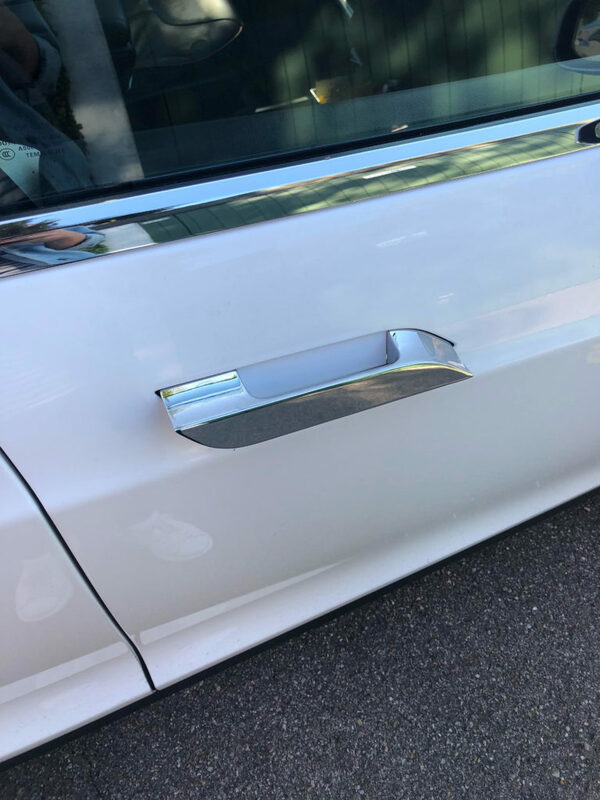 I am not satisfied with the service of the car. At first Tesla wanted that services on their car are only made by themselves. Because of that they were behind and it took very long to order the spare parts. For my next car I will need to have a trailer hitch (Anhängekupplung) to attach a caravan so that I can travel around Europe. Also I want to have a higher car because it will be more comfortable when I get older. The technology is very impressive. The key for the car is actually an app on the smartphone. From that app you can control a lot of stuff like: opening the car, control the heat, turn on the car, park the car and so on. What we noticed when we were in the car was of course the quietness but also that the car is incredibly fast. Unfortunately we didn’t go on the high way and therefore couldn’t see the whole power of the car. 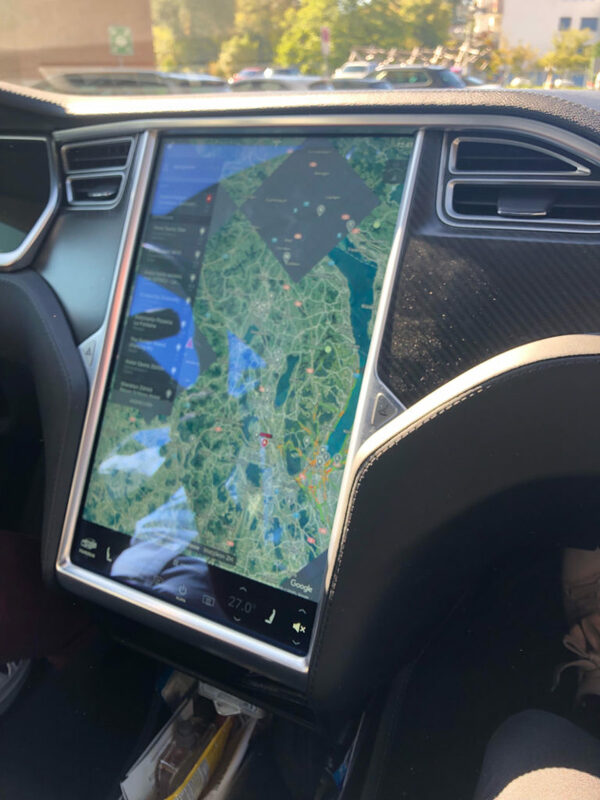 Additionally the screen in the Tesla is like a computer in a car. You could even go into the internet and watch a football match while driving (which is not allowed however). You can listen to music, control the car, navigate and set your personal settings. 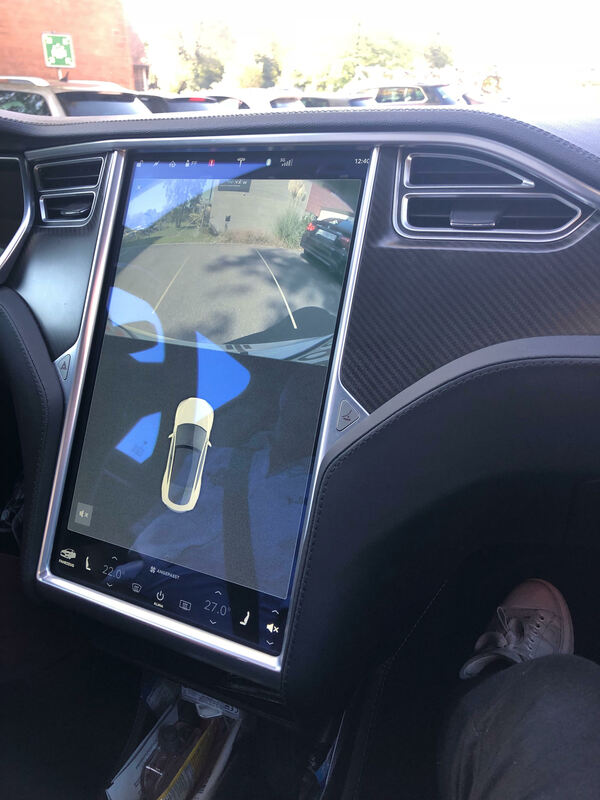 We learned a lot about the electric car industry and the high point of the project was definitely the personal experience in the Tesla. We are fascinated by this car and are sure that electric cars like a Tesla will take over the world. Please leave a feedback and we hope you enjoyed reading. The thing that you really did well, is your research. I think you collected some unique information, which most people don’t know about, such as me. It really surprised me that it is possible to convert a gasoline-powered car into an electric car. I also like that you write about the batteries, how they are produced and how much damage this whole process causes. Overall I also think that you structured your post very well, because you showed what information you got from which source. I am absolutely flabergasted and shocked by the fact that the production of the batteries for the cars causes just as much damage as driving a gasoline car for 8 years. I always thought the disposal of the batteries is the biggest controversy surroundig this topic, but it seems like the production is also a very big Problem! Altough this is a very good project, I still wished you wrote something about the disposal of the batteries of these cars. I heard that this topic causes alot of trouble and controversy so it would have been great if you had mentioned it in this post. The research is very impressiv. The text is very easy to read and it is also well-balanced with the pictures and the video. An additional point would be, to wich problems it could come when the batteries break down. It is not possible to burn the batteries. You habe to keep them wich can be a problem if there are to many. It is necessary to find a new solution for this problem. I really liked your research. The content is comprehensible. You want to wake up the reader’s interests. The video and the picure are impressive. Suggestions: The process how they take out the gasoline engine an put in the battery and the electric engine in the car could be more detailed. Maybe a life cycle would improve the understanding how the process works. A Quiz to test the knowledge of the people about electric cars or a survey if they ever had been in a Tesla would be nice. I’m impressed of your huge research. The different medias (espacially the Video and the two interviews) make the work very diversified and very easy to read. The reader feel that you have a big knowlegde about the topic of electric cars. Maybe you could have written more about the critical side of the Electric cars. I think there are also other opinions concerning the enviromental friendly. Previous Previous post: What are the standards for Swiss organic meat? Are those better than in the EU? Next Next post: Is Upcycling Fashion Fashionable?